WE MADE IT! The final mandala in the collection is complete and I can’t wait to share it with you. First off, If you would like to see the previous mandala in the collection, visit the link below. You may also look in my YouTube Video which does a complete recap of the full collection and the progress from beginning to end! Ok, so now let’s continue with the fifth and final mandala in this collection! First of all let me say that this mandala was inspired by my 100mandala community, who have been giving us great challenges to help us think outside the box. 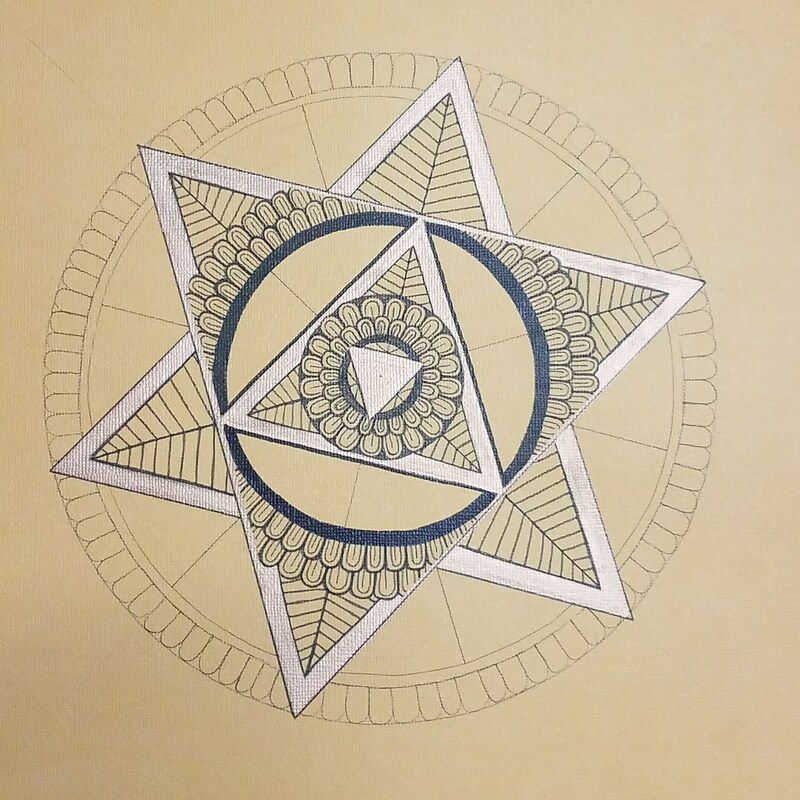 This mandala was inspired by the triangle and circle progression. It was a lot of fun to make and very easy once you got the hang of it. I have always loved the way that flowers with many petals look and feel when drawing mandalas. The two rows of petals gave this mandala a look that drew your eyes to either the triangles or the circles, even both. Take a glance at the picture below, which pattern do you see most. I fell in love with using the metallic paint markers, it was more of a matter of choosing the color I wanted. Of course, I chose silver. 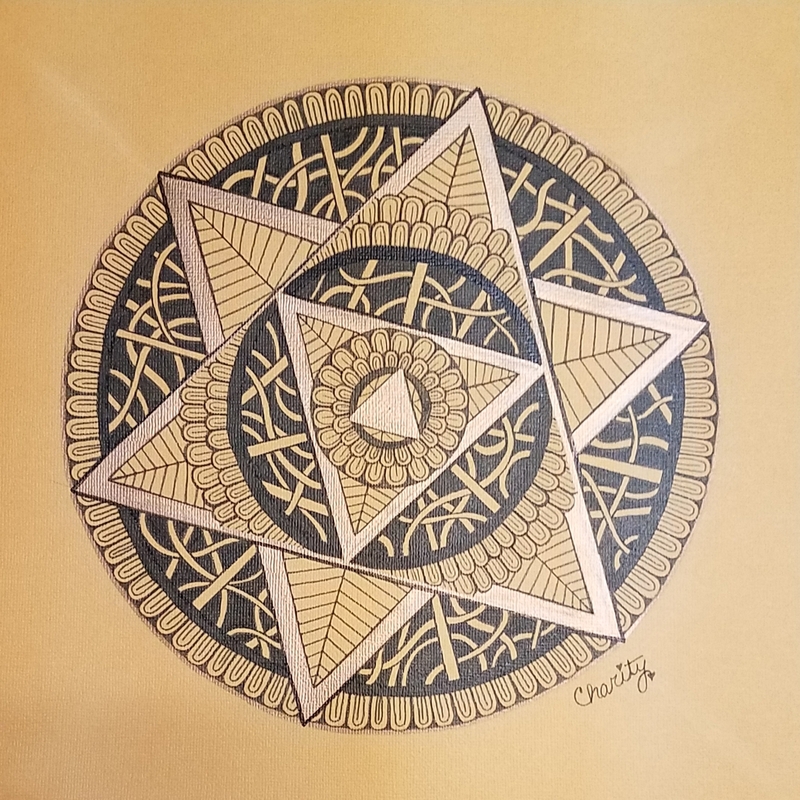 Many of you know that a lot of my mandala are inspired by Zentangle and other patterns I see in the world around me., and this one was no different. I knew that I wanted to fill the empty spaces with an organic Zentangle pattern I have used before. 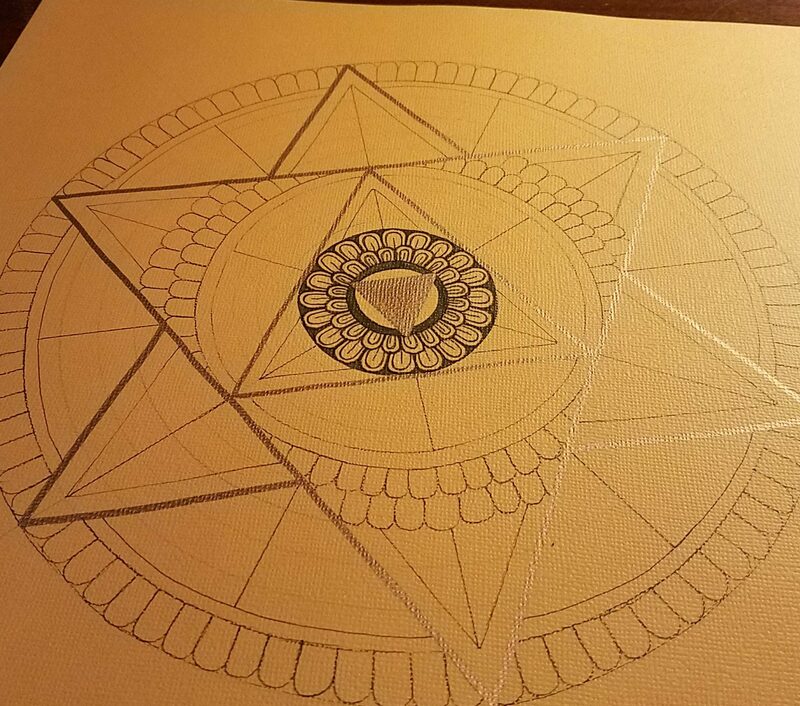 As soon as I finished the inner circle, I had to outline the outer circle as well. It was perfect! I saw the flowers, leaves, and vines beneath, all neatly tucked within this triangle and circle progression. Once it was all completed, I was very happy with it. 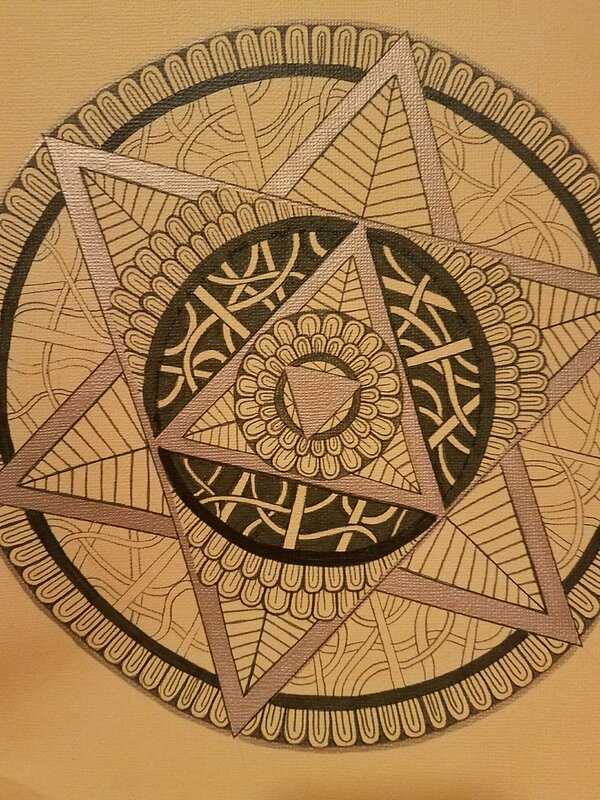 This mandala is far out of my element, and yet I am very pleased with the relaxation techniques it taught me in the process. What is your favorite part of this mandala? Be sure to check out the video and give your feedback as well.